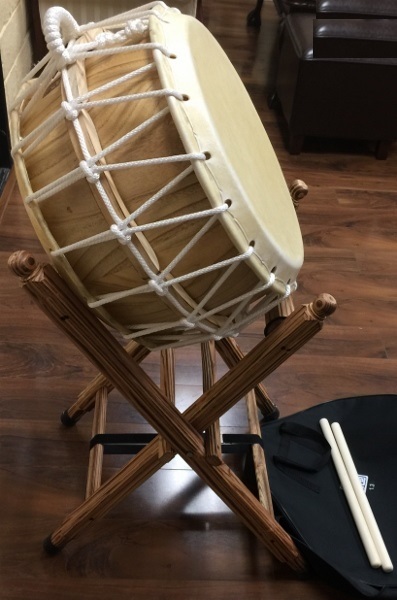 The buk is a traditional Korean drum. 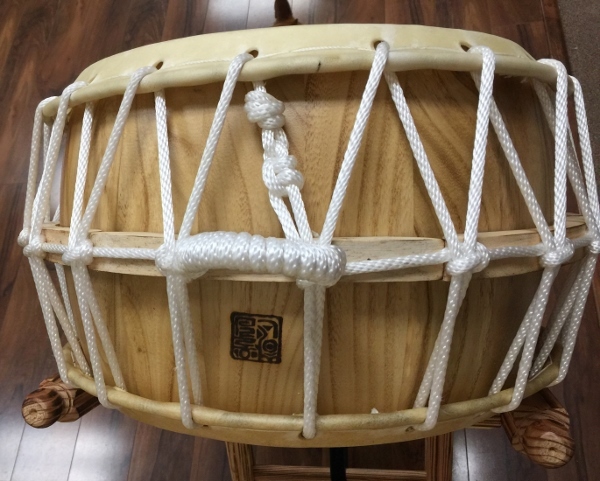 While the term buk is a native Korean word used as a generic term meaning "drum" (the Sino-Korean word being go), it is most often used to refer to a shallow barrel-shaped drum, with a round wooden body that is covered on both ends with animal skin. 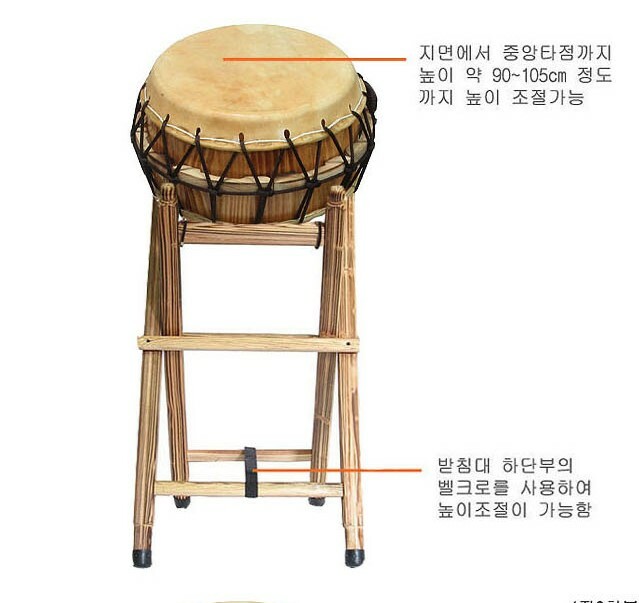 Buk are categorized as hyeokbu (혁부, 革部) which are instruments made with leather, and has been used for jeongak (Korean court music) and folk music. This is a nanta buk in 1.3 ja 15.5" in drum skin diameter. This model is a standard model with quality cowhide skin and foxglove tree. 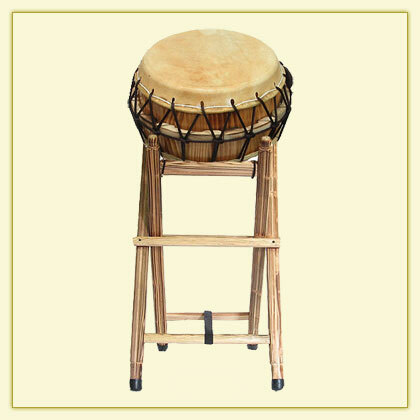 It is made by Hanullim Musical Instrument company, a highly reputable drum maker in South Korea. 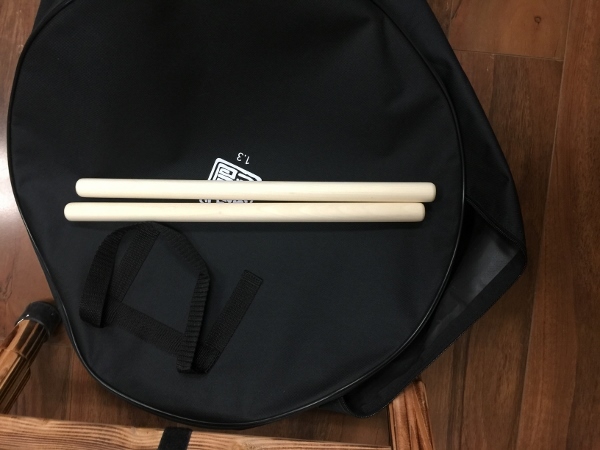 This buk comes with a set of drum sticks, tall stands, and a black carrying bag.